How do you persuade a hitherto successful criminal to not walk into a business, threaten and terrorise staff, and exit with the proprietor’s hard earned cash? Answer: by convincing him that before he’s had time to leave the premises, let alone count his loot, he will be marked with a DNA signature that will provide police with irrefutable proof that he was at the scene of the crime. Enter DNA Security Solutions (DSS), an Adelaide-based company that would not be out of place in a CSI or Silent Witness television script. Chief executive Tania Jolley says the company’s innovative tag and trace technology is as much about the psychology of deterrence as it is about placing a DNA marker on a person involved in criminal activity. 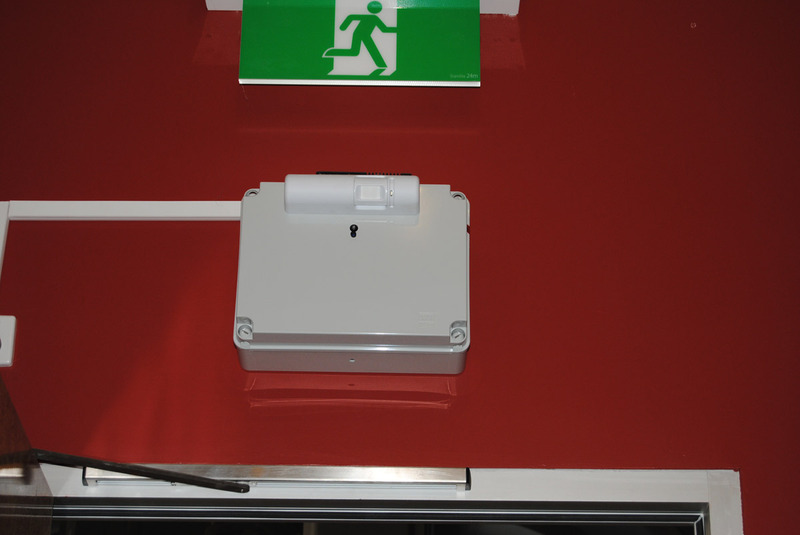 DSS’s product, the DNA Guardian, includes a small module that sits above the exit to a premises and can be activated remotely from anywhere in the building during a robbery or other adverse incident. Once activated, a movement sensor then sprays a fine mist containing a tailor-made DNA and ultraviolet sensitive solution onto the departing thief. The non-toxic solution is virtually impossible to wash off and will remain on the skin for up to six weeks, and longer on clothing. Anyone suspected of committing the crime can be scanned initially with an ultraviolet light and, upon confirmation that they have been sprayed, can then be swabbed for the presence of the DNA marker. DSS will this week launch a new, highly refined DNA solution onto the market which dramatically increases the scope for rapid testing and identification of people at the crime scene. An earlier variant of the DNA solution employed by the company in its products was only able to be tested at one location in Australia, and a few testing labs overseas. 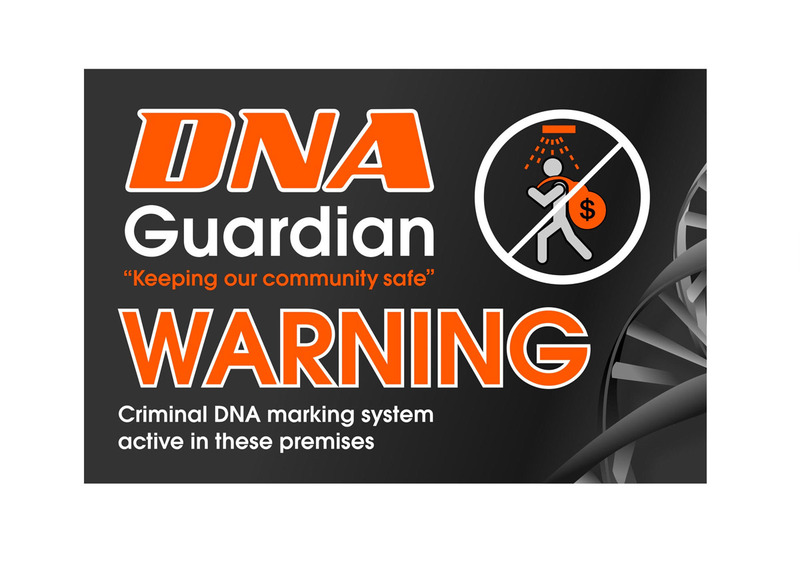 However, the new product, which will be introduced first to the DNA Guardian business product, will be able to be tested on machines more readily available, including at Forensic Science SA. DSS has developed the new solution over the past three years in collaboration with the Adelaide node of the Australian Genomic Research Facility (AGRF) based at the Waite campus of the University of Adelaide – which Tania Jolley describes as “our science arm”. “What we needed to do was develop a DNA solution that could be easily analysed on our current forensic platform that we use here in Australia, and luckily enough for us, that platform is pretty widely accepted throughout the world,” Jolley told The Vanguard last week. Jolley said some DNA markers are derived from rare earths or plant material like bananas but the new product co-developed by AGRF is a synthetic DNA often found in medical laboratories and research institutions. “Synthetic DNA is put together by mathematical algorithms and mimics DNA. It has the same components as natural DNA but because we are using synthetic DNA, it means the algorithms can make lines of DNA code that don’t exist anywhere else,” Jolley said. The versatility of using synthetic DNA also means that each individual DSS module that is installed has its own unique DNA signature. “In having a DNA solution that is specific to a particular site means we can irrefutably, 100 per cent, say that the person who has the DNA on them can be connected to that venue as opposed to saying that a person might have had contact with banana DNA, for example, somewhere else,” Jolley said. “We’re the first company in the world to have a marketable, commercial DNA solution that forensic departments around the world, like Forensic Science SA, can successfully test for themselves. However, Jolley says the impact of DSS’s product is as much about deterring criminals as it is about catching them. “Our technology is very heavily about speaking to the criminal, showing them that they are going to be marked and tagged with a forensic based product that they can’t get away from – they can’t wash it off, you can’t escape it,” she said. Jolley describes the company as an “engineering solutions” business rather than a security business. The company’s service includes providing the licenced window signage that alerts potential thieves that the DSS system is installed and working with local media to communicate with the community. And the police can also advise ‘persons of interest’ that they will be DNA tagged if they attempt a robbery or vandalism on particular premises. Jolley cites the example of a tennis club on Queensland’s Gold Coast which had experienced nine ‘break and enters’ in the space of three weeks, with each episode costing the club several thousand dollars to replace panes of broken glass. DSS responded to a request for help, installed its system, including signage, and with the help of the police put the word out in the local community. “Three years down the track and that tennis club has not had a single incident since,” Jolley said. Jolley said it was a similar story with a bar and restaurant in Beverley which experienced three armed hold-ups in the space of nine months. After installing the DSS system, the thieves were caught after the fourth attempt on the premises with the DNA evidence contributing to their conviction. And the bar has not been a target since in the following five years. “We are changing the criminals behaviour, getting them to recognise what they are doing is high risk,” Jolley said. “At the moment, the criminals are poking their tongues out at the CCTV cameras and saying ‘we don’t see you (cameras) as high risk, you can’t identify us’. Jolley, with degrees in psychology (Flinders University) and business (UniSA) and her business partner and husband, Andrew Taft – an electronics engineer whose interest in electronics was sparked at an early age at private military college in the United Kingdom where he found that throwing one’s boots onto the roof of a nearby building not only meant that you avoided long, boring marches but that you were also ‘punished’ by having to work on two-way radios – have big ambitions for DSS. With a suite of products that also includes household, vehicle and personal security systems, they are looking to an international market. And they may be helped in that aspiration by Jolley’s recent selection as one of only ten women in Australia to participate in a US-based professional development program known as Springboard Enterprises. Jolley has just returned from a so-called ‘boot-camp’ in Sydney where she was introduced to other participants and the mentors and advisors who will support the women in an accelerator program “designed to help women develop globally expandable businesses”. Jolley told The Vanguard the experience was “amazing” not least for what it showed about the way in which women in business are generally undervalued and, in her particular case, actually undermined by men. “We have always had an enormously big vison for this business. We saw it as much more than a niche business and knew it had huge global potential. “Unfortunately, here in Adelaide, those views have never been widely accepted and embraced or encouraged. I’ve encountered a lot of negativity for being a woman, specifically as a CEO. “We have encountered a lot of ‘you can’t do that, a woman can’t run that sort of business, we don’t think you are capable of doing this’ so people have not been prepared to invest in this business. “For the very first time, through Springboard, I was welcomed and embraced into a community. All of a sudden we walked into a room where it was just assumed that we were the people for the job. “We didn’t have to credential ourselves, we didn’t have to explain why we thought we were good enough, it was just accepted (after a rigorous entry process that selected only 10 participants) that we had the goods to deliver. I’m very pleased to be the first South Australian woman to have joined this illustrious alumni. “We were able, for once, to stop second guessing ourselves, to stop having to justify ourselves and we could get on with building the business and not have to face that negativity. Springboard Enterprises has helped nearly 600 companies led by women to raise US$6.8 billion in capital over the past 14 years. It seems certain that there will be more than robbers and vandals taking an interest in DNA Security Solutions in the future.